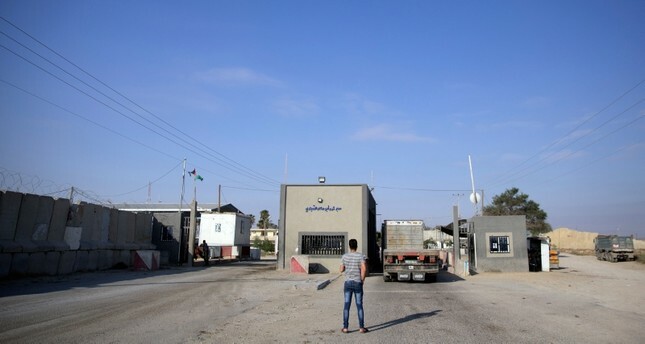 The Palestinian Authority (PA)-run crossings authority has accused the Hamas-affiliated security forces of obstructing the work of its employees at the Kerem Shalom crossing in the Gaza Strip. In a statement on Sunday, the authority said Hamas security forces denied entry to its employees into the terminal "for no apparent reason." "Work has been resumed at the crossing after a two-hour hiatus," it said. The official Wafa news agency, citing a local source at the terminal, said Hamas personnel had "provoked" the PA employees and prevented their entry into the crossing. There was no comment from Hamas, which rules the Gaza Strip, on the allegation. A security source in Gaza, however, said security forces had checked the IDs of PA employees "as part of routine procedures". "A number of employees did not have IDs, which led to hold them for some time until verifying their identity," the source, who spoke on condition of anonymity because he was not authorized to speak to the media, said. Kerem Shalom is Gaza's only functioning commercial crossing. Last month, the PA withdrew its employees at the Rafah crossing between Gaza and Egypt to protest what it described as Hamas crackdown on its members in the Palestinian territory. Palestine's political scene has remained deeply polarized since mid-2007 when Hamas took control of the Gaza Strip after sweeping legislative elections one year earlier. Fatah, which runs the Ramallah-based PA, has retained partial administrative control in the Israeli-occupied West Bank.